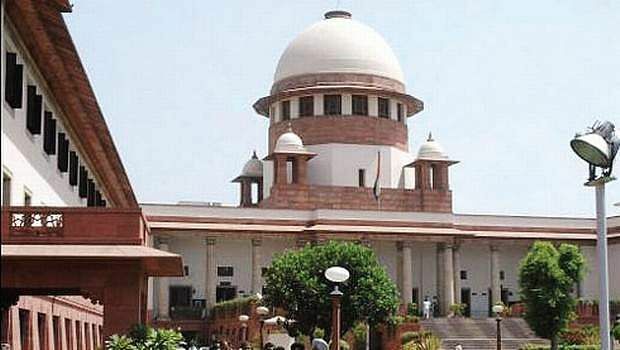 New Delhi, Nov 2: The Supreme Court today directed the Centre to place before it details regarding 1,581 cases involving MPs and MLAs, as declared by politicians at the time of filing their nominations during the 2014 general elections. The apex court asked the government to apprise it as to how many of these 1,581 cases have been disposed of within one year and how many have ended either in conviction or acquittal of the accused. A bench comprising Justices Ranjan Gogoi and Navin Sinha also sought the details of criminal cases lodged against politicians from 2014 till date as well as on the disposal of these matters. During the hearing, the Centre told the bench that decriminalisation of politics has to be done and it was not averse to the setting up of special courts to deal with cases involving politicians and speedy disposal of these matters. It informed the bench that the recommendations of the Election Commission of India and the Law Commission favouring life-time disqualification of politicians convicted in criminal cases was under the active consideration of the government. The bench directed the Centre to place before it the scheme for setting up of such special courts and also indicate the amount of funds that could be earmarked for the purpose. The top court was hearing petitions seeking to declare the provisions of the Representation of People (RP) Act, which bar convicted politician from contesting elections for six years after serving jail term, as ultra vires to the Constitution. Advocate Ashwini Kumar Upadhyay has filed a PIL in the matter, while several others have come to the apex court as intervenors. The apex court had on July 12 pulled up the ECI for not taking a clear stand on a plea seeking barring of convicted politicians for life.